How Will Your Legacy and Service Be Honored? Alice J. Tevelson and Marchel Charles Tevelson, of La Mesa, CA, shared a great love for each other and the life they created together. 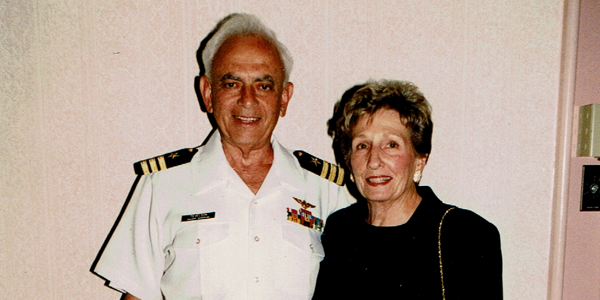 Married in 1957, Alice gave up her teaching career to become a Navy wife. 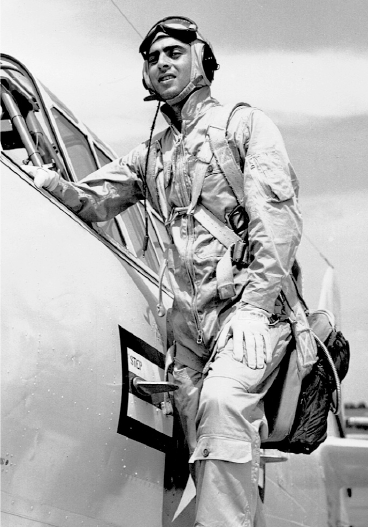 Charlie, as he was known to his family, was a graduate of Temple University and a decorated commander in the U.S. Navy, serving in World War II and Vietnam. Charlie served in the U.S. maritime and naval forces on active duty and as a civilian for a total of 54 years. 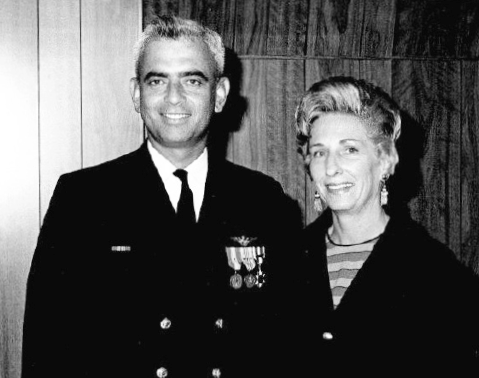 In 1972, while on active duty and having completed several decorated combat tours, Charlie became Director of the Navy's worldwide humanitarian mission, Project Handclasp. He held this position as both an active duty Commander and Civilian Director until 2006. During his career, Charlie was awarded the U.S. Legion of Merit Medal recognizing his warfare and humanitarian contributions, as well as the Navy Superior Civilian Service Medal in recognition of his 34 years of service as Project Handclasp Director. He received letters of recognition and thanks from U.S. Presidents Bill Clinton and George W. Bush for his work. Ever at his side and through it all was his partner and bride, Alice. Charlie's parents, Theodore R. Tevelson and Edythe Florence Tevelson (nee Binder), were devout Jews who kept a kosher home and made Judaism a focal point in their lives. In his teenage years, Charlie was a counselor at Camp Sholom, located in Collegeville, PA, and had his Bar Mitzvah at the conservative Har Zion Temple in his hometown of Wynnefield, PA.
Alice and Charlie were very charitable and in discussing their giving plans, made it known that after their passing a donation was to be made to honor Charlie's parents at Jewish National Fund's American Independence Park in Jerusalem-a living symbol of the enduring partnership between Israelis and American Jews. The Tevelsons also felt it was important to support Israel and the Jewish community, and to ensure the development of the land of Israel. Alice named Jewish National Fund as one of the beneficiaries of her IRA, in addition to the Shriner's Hospital in memory of her parents. Charlie passed away in 2015 at the age of 88. He will be honored with a plaque at the Wall of Honor at Ammunition Hill as a tribute to his military service and courage. Ammunition Hill was chosen as the location for the Wall of Honor because of a famous battle waged there by the Israel Defense Forces during the 1967 Six-Day War. The Israeli victory at the strategic hilltop led to the capture of the Old City and the reunification of a Jewish Jerusalem, making this site all the more appropriate to honor Charlie for his years of heroism, bravery, and service to his country and people.